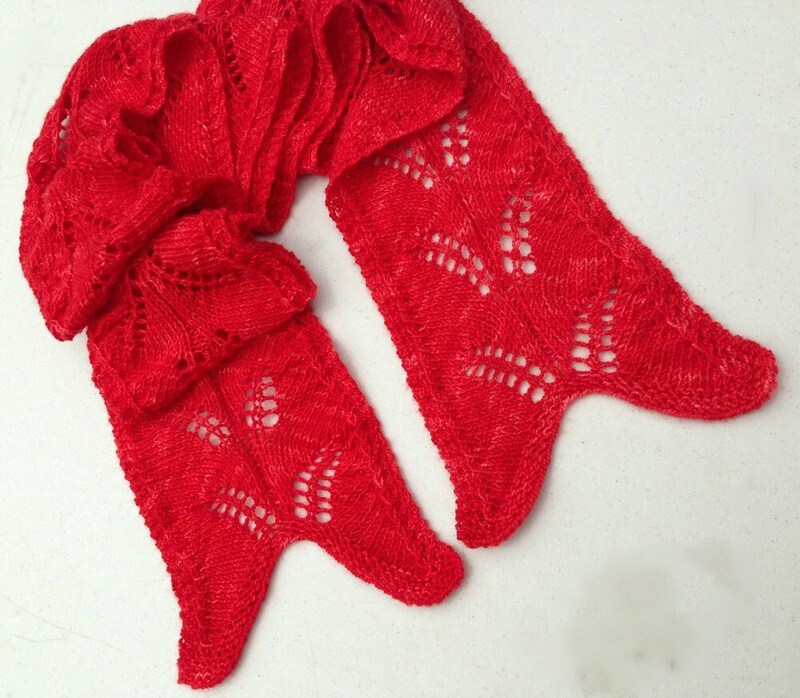 Fish Tail Lace Scarf, a Knitting Pattern by Christine Long Derks, the TreasureGoddess! Why hide that skein of pretty sock yarn in your shoes?? 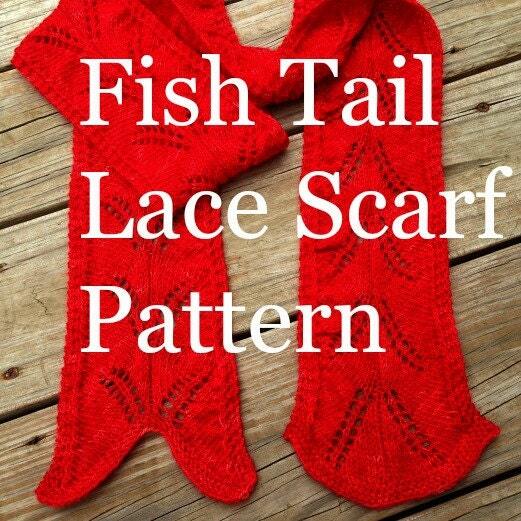 Knit up a Fish Tail Lace Scarf for yourself and another for a quick present! The pattern is easy to follow, easy to remember, in fact once you get started you probably won't need to carry the pattern around with you! 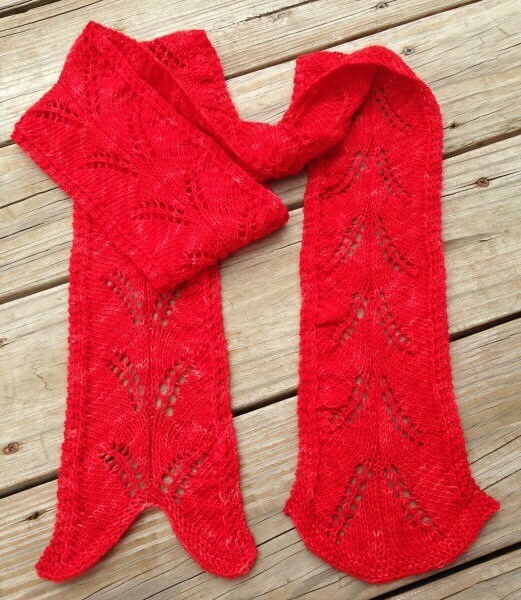 This listing is for the PATTERN ONLY, not finished item. Skills needed are cast on, knit, purl, yarn over, sk2p (slip one stitch, knit 2 together, pas slipped stitch over), bind off. Needle size: 6 US (4 metric), OPTIONAL size 8 US (5 metric) for bind-off (or just use size 6 and make sure to bind off loosely). Misc Needs: darning needle to weave in ends. Lace Chart is easy to follow, provided in both chart format and written directions. 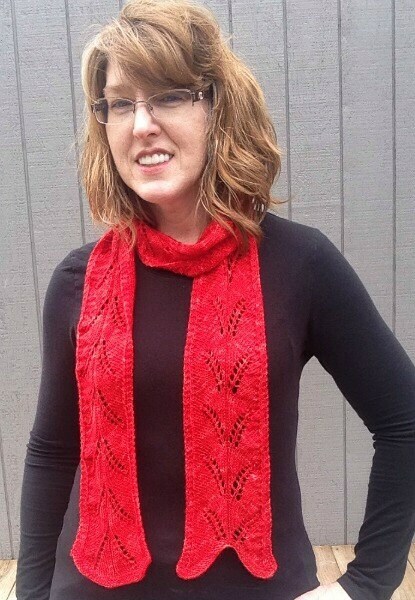 This really is a glorious pattern, fun to knit, even more fun to wear! Shows off semisold or tonal hand dyed sock yarn or even plain old commercial dyed yarn too. 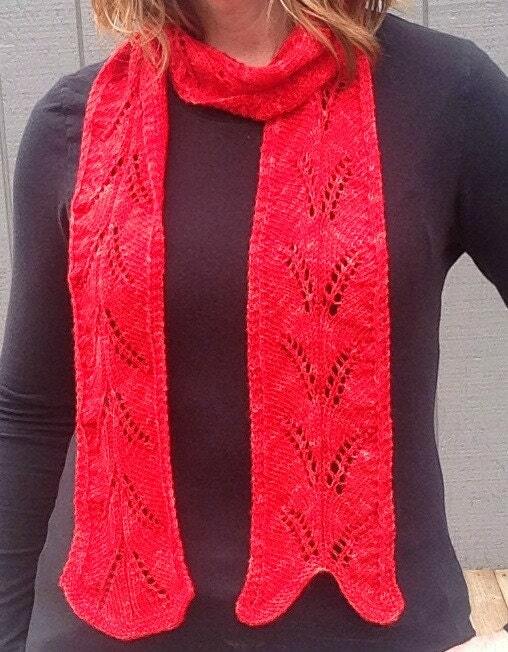 I'm available for pattern support via etsy convo's or by email.